Break free from frames with this link. This site is part of the WWW Virtual Library project, the first and in my humble opinion the best portal to the world-wide web. You are currently on the Countries-Site of the Library. Please email Eberhard Wenzel if you know of any online information concerning Public Health which is not yet on this list. You may also wish to send me your comments or suggestions. regarding their public health action, not their public health talk. 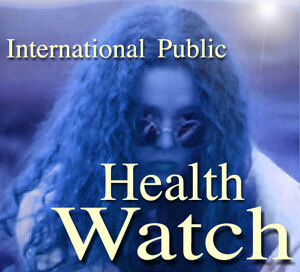 Visit the site and subscribe to the free list-service offering the latest news on international public health. Coverage of all countries on Planet Earth cannot be accomplished by one person. I have done my best to list relevant resources for each country, but I am aware that this is not enough to keep the Library updated. Therefore, I would like to invite you to join me. If you feel you are the person to take care of a country, or countries or even regions, please let me know, and I will hand over the task of maintaining the respective section of the WWW Virtual Library: Public Health to you. Please send an e-mail to me at: ldb_org@yahoo.com.au and I am happy to discuss with you our cooperation. As political borders do not necessarily represent cultural and geographical borders, the different national states are ordered according to their geographical and regional location, e.g., Egypt will be found under "Africa", although politically and by culture it seems to be part of the "Middle East". Within a given region, you find the countries listed in alphabetical order.